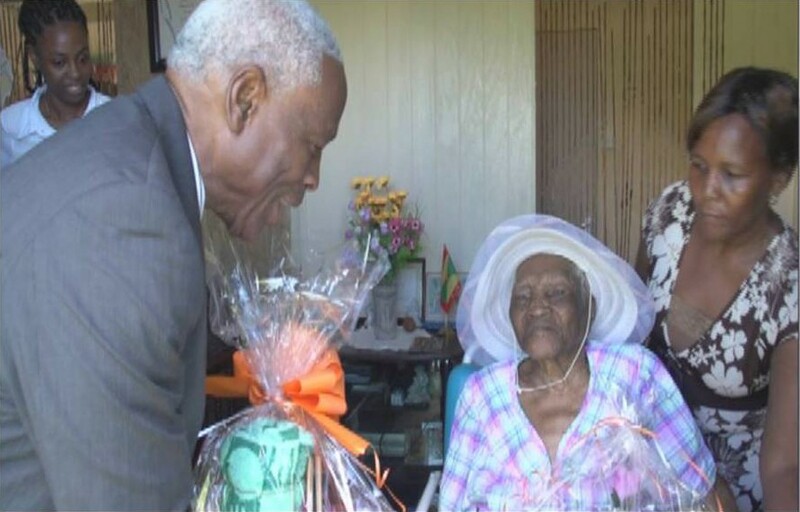 Family members and friends came out to celebrate a major milestone with another centenarian on Monday. 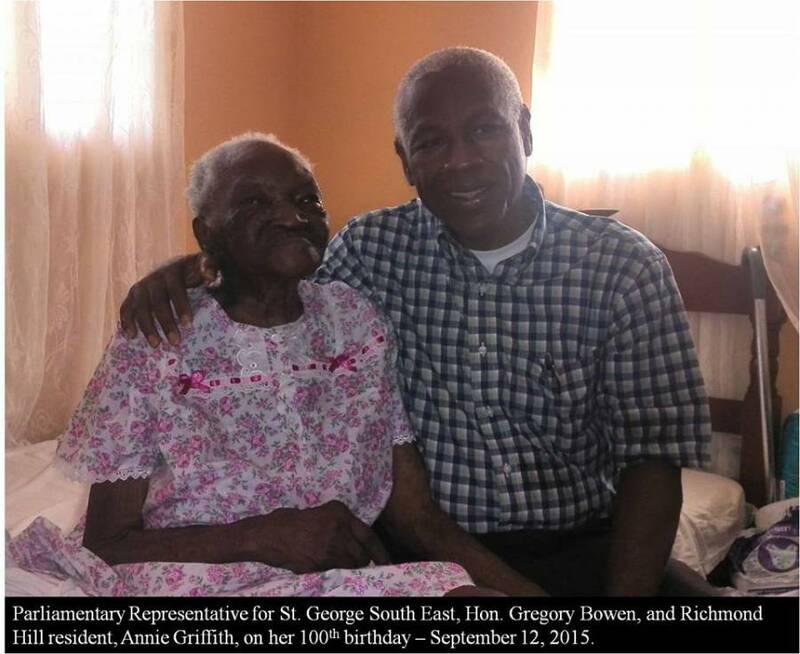 Annie Griffith of Richmond Hill, who was born on 12 September 1915, celebrated her 100th Birthday in a grand way with a party on Saturday, 12 September 2015. Surrounded by a few of her children and Parliamentary Representative for St George South East, Hon. Gregory Bowen, she shared how happy it feels to still have a wide knowledge of things past and present. “Praise the Lord, I still have a lot of memory more than some people that younger than me. I could remember some good things,” she said, while holding hands with her Parliamentary Representative. The Centenarian is the mother of 15 — 9 of whom are still alive. Annie is described as a hardworking, humble, loving woman. Her son, Lincoln Julien Griffith, says he has very fond memories of his mother growing up as a little boy. He reminisced on seeing her working hard to support her family. “She worked in the park… in the gravel pit… cooking… working the land. She is the hardest working lady I know in my life,” he said. 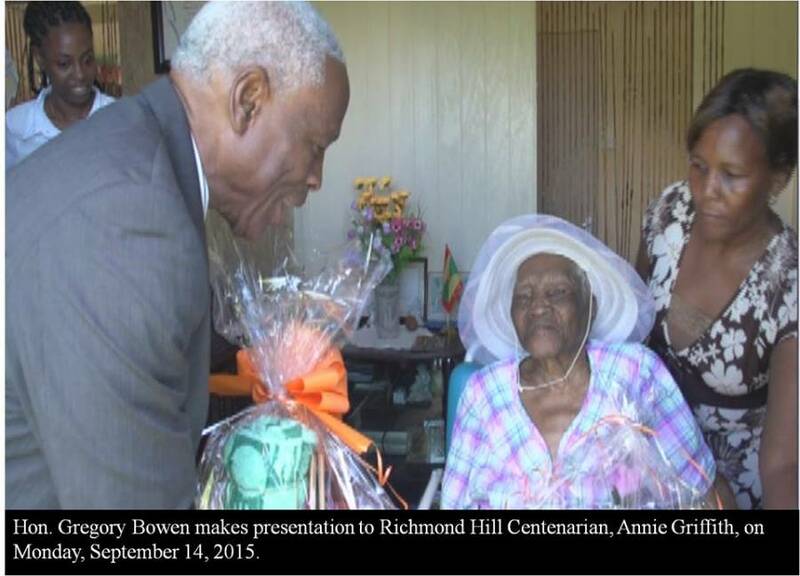 The Centenarian was also presented with 2 gift baskets from the Ministry of Social Development’s Desk of the Elderly. “100 years and very collective,” Hon. Gregory Bowen said.